Sharing a super quick video of our son copying the favorite expressions of Lea. She's the leading lady from the super kilig TV series "On the Wings of Love", played by Nadine Lustre. Are you hooked with this series too? For almost 2 months now, we are spending our weekends at home. 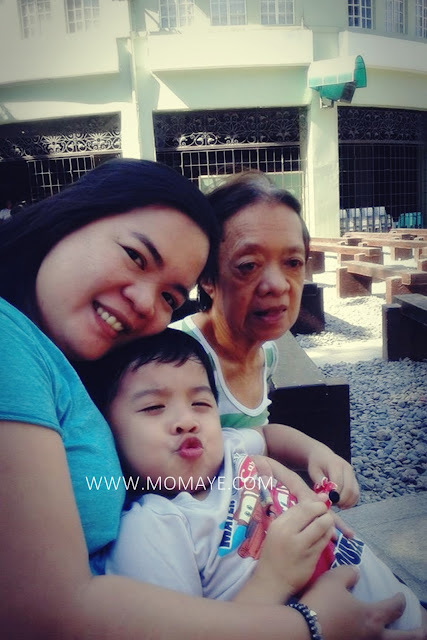 That's because our new house help takes her rest day on weekends and Nanay can not always go out with us. The ending is, we are always under house arrest. Okay lang naman kasi nakakatipid, hehe. Spending weekends at home gives us time to have a little rest since we only have a one-day rest day. But since we are not used to just sleeping or being a couch potato, we ended up cleaning and organizing, and fixing things at home that needs to be fixed. The best thing about spending weekends at home is to spend time with the family and watching our favorite shows like #AlDub and On the Wings of Love #OTWOL. Just like last Saturday. We watched #‎ALDubEBforLOVE‬. Even if we are not a big fan, we were very affected and kilig, haha! 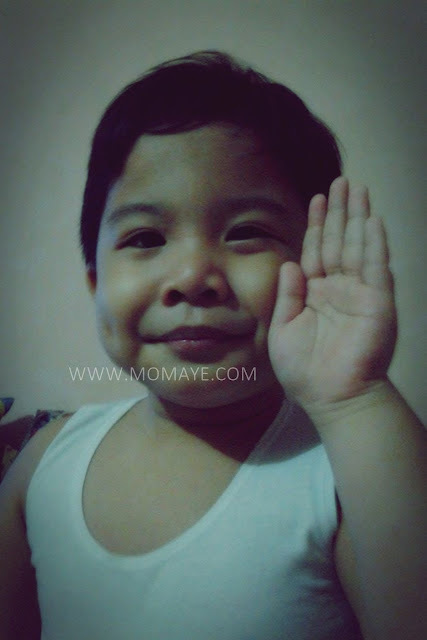 I wanted to do the Pabebe Wave too but opted not too, haha! But look who's kinikilig too. Then on Sunday, after finishing all the house chores, we will watch "On the Wings of Love". We also love this series but since it's airing is a bit late every week days, Daddy make a way so we can watch all its episodes. Yey! As you can see, Daddy and I were still busy. 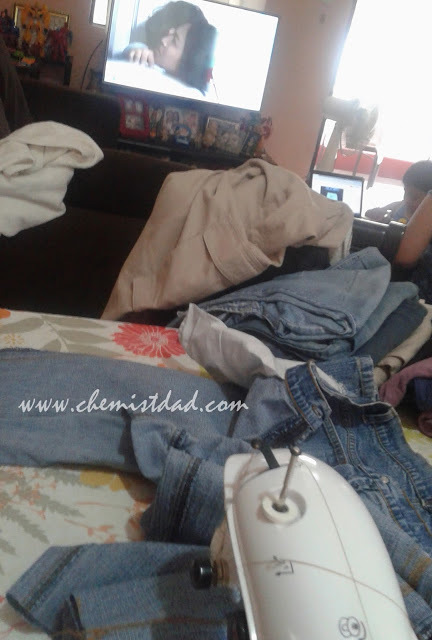 He's repairing and sewing some of clothes, while I do blogging. 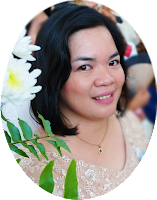 Speaking of blogging, I am happy because blog opportunities keep on coming. If these offers will continuously come, I really needed to have a work space at home. I would prefer a good table with 5 foot drawer slides so it will be easier for me to type on my laptop while doing other things like crochet. Also, I badly need my own laptop. Daddy, please read this, haha! So that's our weekends at home. How's your weekend? 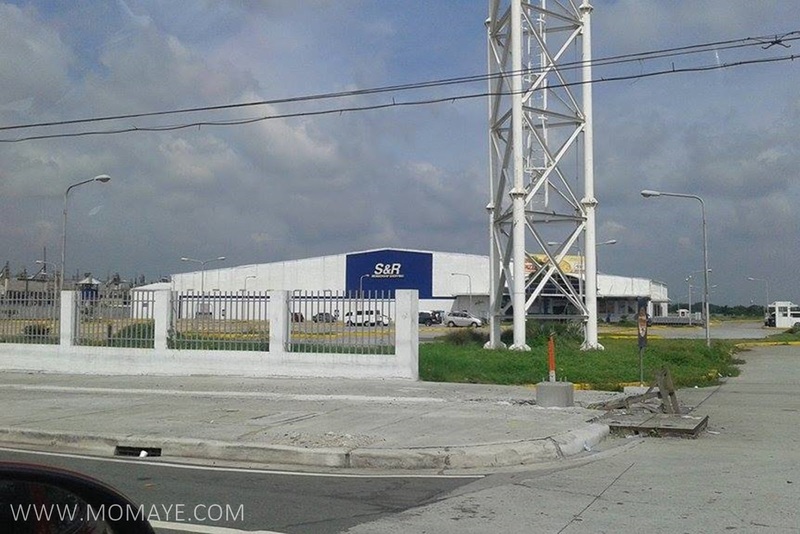 On our way to Subic last yesterday, we passed through this S&R branch in San Fernando, Pampanga. For this September, S&R is having their Healthy Deals on Wellness Equipment and Workout Gear. Just in time because we are looking for fitness and wellness equipment we needed. You know for months now, Daddy and I are struggling to lose excess weight. Struggling it is because after losing about 7-8 pounds, we are stuck on our current weight now. We are still very far from of target weight. Blame it to Daddy's delicious dishes and baking sweets, haha! Now, we needed to add daily exercise to go beyond what they call weight loss plateau. Weight loss plateau is when after weeks that your weight loss program was taking the pounds off, then, suddenly, the scales won't budge another pound. It’s a normal thing but we needed not just eating moderation but also exercise so we can go beyond this stage. That’s why we are planning to add daily exercise, however, time is always a constraint. So Daddy and I agreed to look for affordable and good quality must have wellness equipment at home. 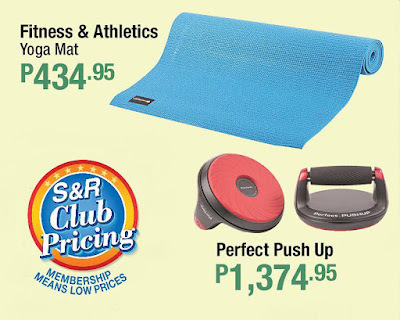 Call it destiny or fate, just what I have said, S&R is having their Healthy Deals on Wellness Equipment and Workout Gear. 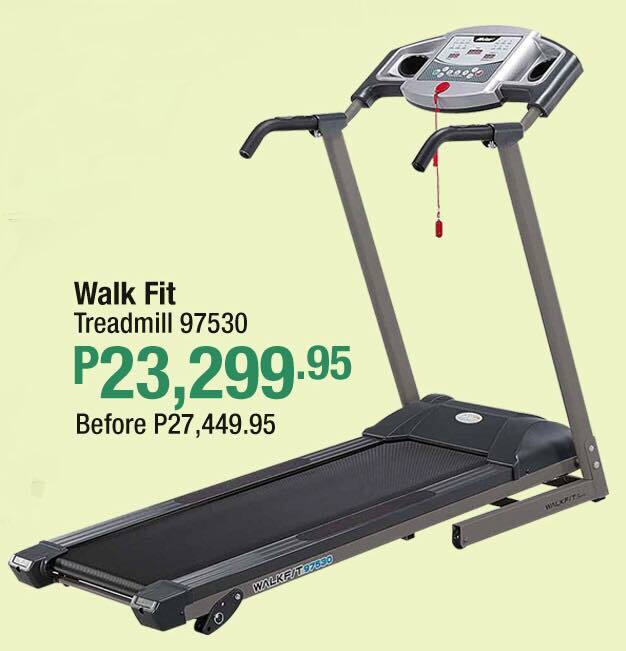 Look at this Walk Fit Treadmill 97530. Amazing deal it is! From P27,449.95, it's now P23,299.95. It's P4150.00 savings. 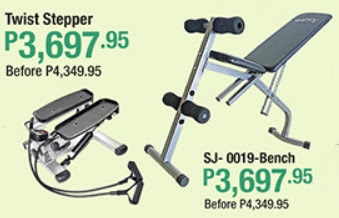 Another must have wellness equipment are these Twist Stepper and SJ- 0019 Bench. Daddy will surely love these two, as much as the treadmill. Having a treadmill at home is on the top list of our home must have wellness equipment. Working out at home will definitely save us time. I am sure our little boy will join us too. And that Daddy will make a space to have these must have wellness equipment fit our home sweet home. I have been looking for a yoga mat for so long. 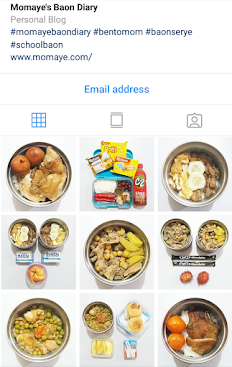 I saw one online but since Daddy is concerned at quality, he said we will look at physical store na lang daw. The perfect push up is another must have workout gear too for Daddy. Push up is part of his exercise kasi so he will definitely include this on our must have list. Maitry nga din ang push up, hehe! 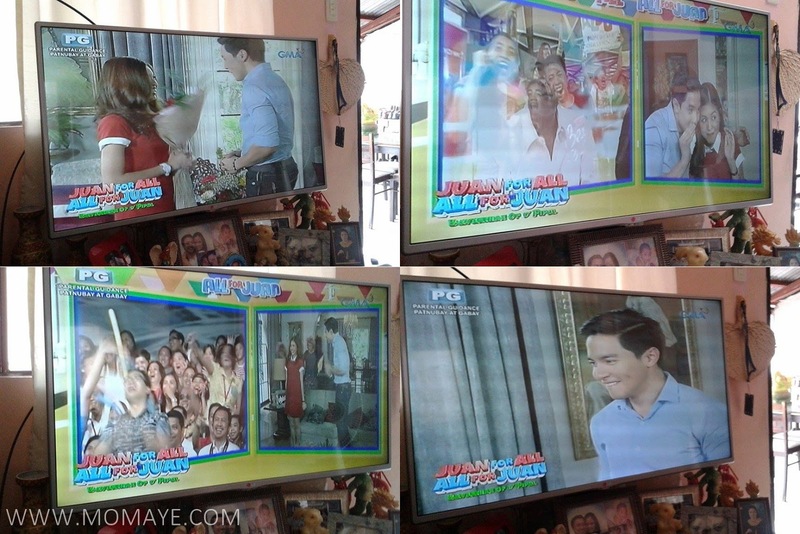 #AlDub is just an accidental love team but look how they make the whole nation hooked in watching them in Eat Bulaga's Kalyeserye. I don't really watch them everyday because I am at work. But one time I got a chance to watch them, I felt as if I am an avid fan of them already. They bring so much kilig I must say. That maybe one of the reasons why millions of Filipinos are talking non-stop about them. The #AlDub fever is spreading nationwide and even worldwide. And did you know my son is not exempted from this nationwide/worldwide fever? One night when we were having a dinner, he's telling us about how his school went that day. 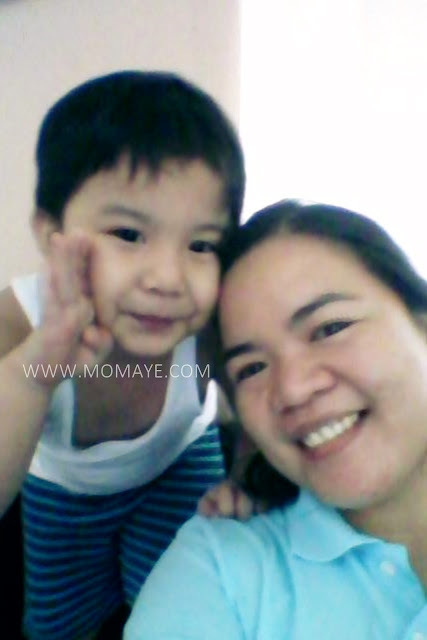 Suddenly, he stopped my hand and said, "Mommy, si Yaya Dub na-kidnap." 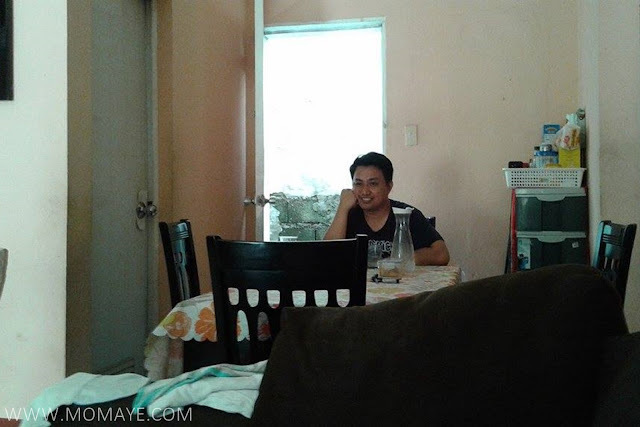 I was not surprised because our househelp watch them everyday. 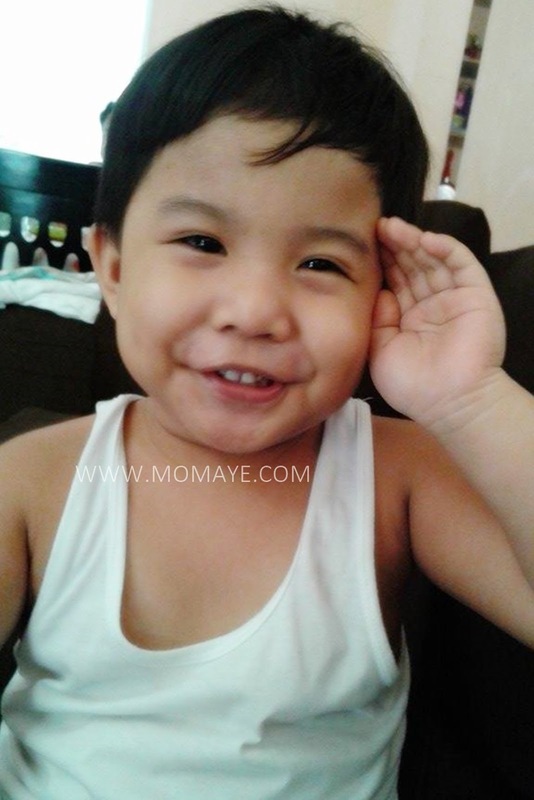 He even said he's Alden daw, then he will make the Pabebe Wave like this. I called him Pababy Alden. Pwede na, they both have dimples, haha! Anyway, watching #AlDub fighting for their love against all odds, and waiting for tamang panahon, is for me, what makes them an instant hit, a certified hit that is. We always love watching underdogs beating the odds and succeeding in the end. We are all excited for their happy ending yet we don't want the story to end. But for me, #AlDub is more than just the kilig they bring to each one of us. For it teaches us also to keep our hope and faith, to be patient and to fight for love. Ayie! Even if I am not a regular viewer of them, I am greatly affected by their tandem. What more pa those who really follow their love story everyday. I can't blame them kasi nakaka-good vibes naman talaga. Just what we need in our stressful everyday lives, right? Are you an #AlDub fan too? 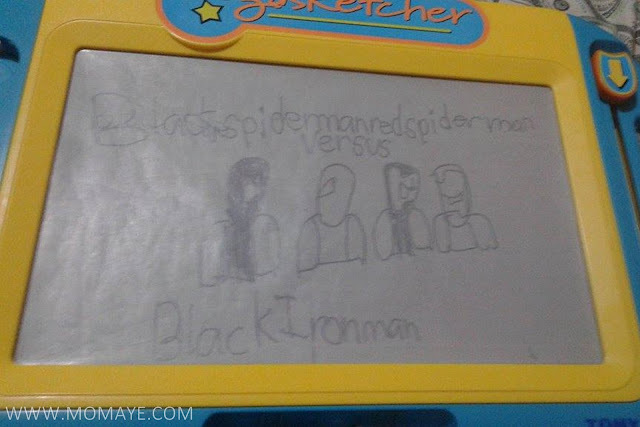 Our son Matthew loves to draw. 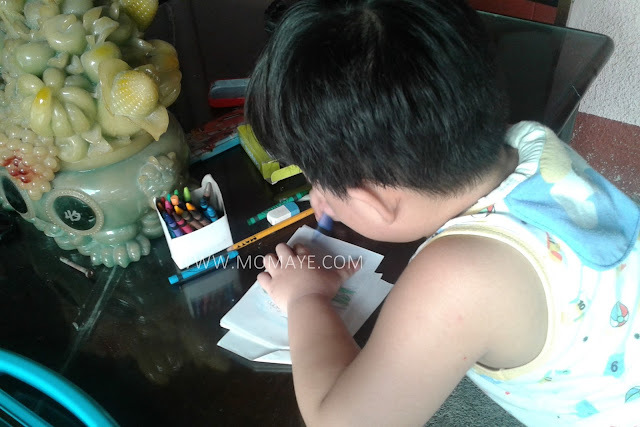 Instead of watching TV or using a tablet, he will draw and draw. Nothing can stop him from drawing and in fact he can used up a whole new set of colors in just few days. Superheroes, particularly Spiderman and Iron Man, are his favorites to draw. 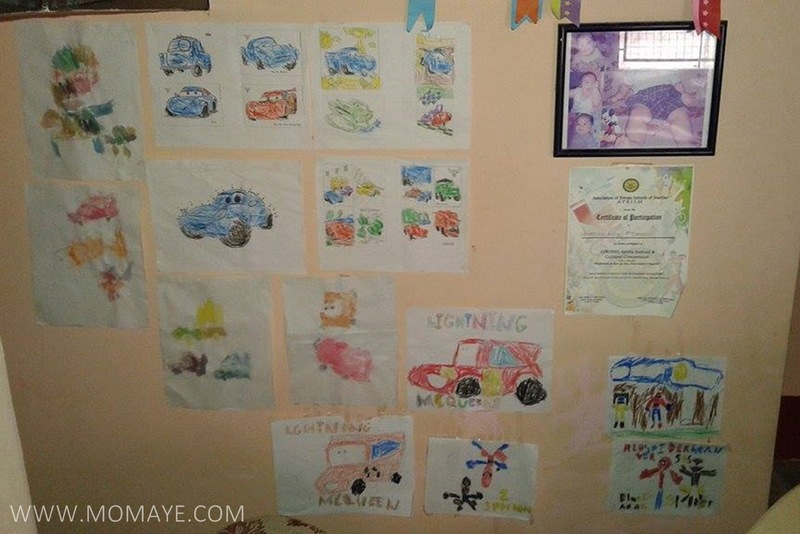 He likes to draw cars too. He's really into arts. His drawings are everywhere so I decided to make a corner for all his art works. Recently, he is asking me how to draw mountains, trees, fishes, butterflies and so on. I am glad that he's also now interested in drawing these kind of things.When I was young, I used to draw trees, house, rice fields, mountains and sky. Unfortunately now, I don't know how to draw. Maybe that's the effect of having a more technical mind, haha! Good thing I came across this art site. 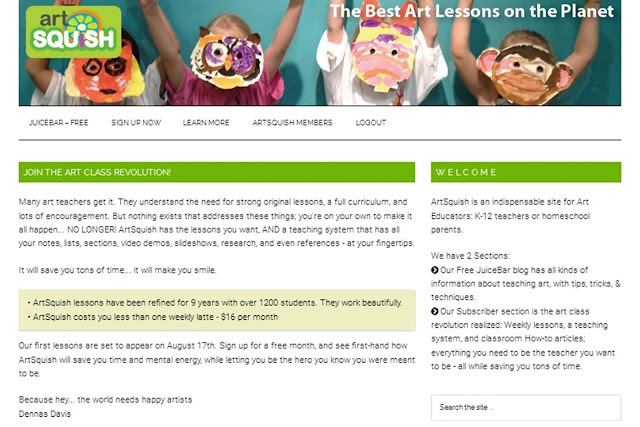 ArtSquish is a very useful site for Art Educators like K-12 teachers and homeschooling parents. ArtSquish has two sections - the Juicebar, which offers tips, tricks and techniques on how to teach on how to teach arts; and the Subscriber, which is the art class revolution with weekly lessons, a teaching system and classroom. You can subscribe for free to access the Juicebar section, or sign up for only $16 to access the ArtSquish reaching system. With ArtSquish teaching system, there will be two class sessions every week for each grade. This subscription is great for teachers and parents like me with kids who love to draw. I waste no time and subscribe with the ArtSquish teaching system. I showed the site to my son and he immediately get his pencil, crayon and paper. Look how excited he was. Under the subscription, you can have access to "how to" articles. Very helpful for teachers and homeschooling parents, to make classroom posters, handouts, graphics as well as training videos. Anyway, going back to my son. 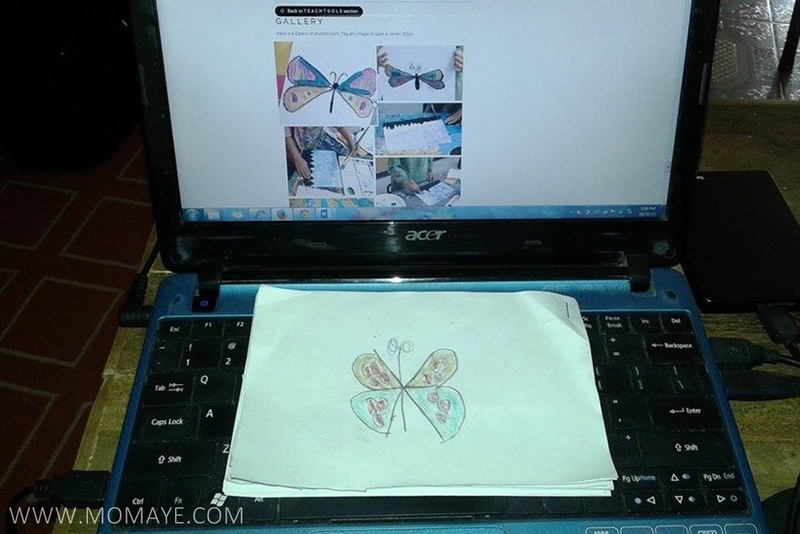 We did tried to one of the lessons: Stars and Butterflies. Look what we have finished. Not bad for a first timer mom and a 5-year old right? I am so excited to try more of the lessons, but my son is more excited that he asked me to buy more crayons and papers, haha! To sign up, click here: http://www.artsquish.com/membership-account/signup/. Disclosure: This post was created in partnership with Mom Buzz Media. All opinions expressed are my own and not influenced in any way. Before anything else, I still promote the use of cloth diaper. In fact I have influenced many of my friends to use cloth diaper. My sister to use cloth diaper on her babies and she's using the same cloth diaper I used with our son. Cloth diaper is very cost effective. But I know disposable diapers are of great convenience to us mommies. While cloth diaper can give us great savings, there are times that disposable diapers can save our day. Like during rainy days and Mr. Sun is so shy to come out, your hanging cloth diaper and insert won't dry fast. 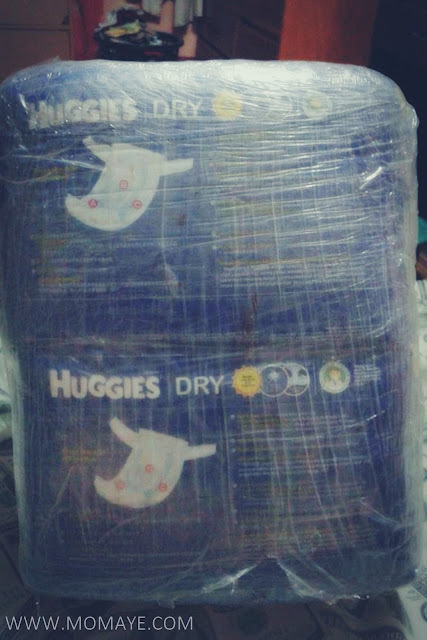 Also, during long trips and on those nights you just want to sleep (when you have a little one), disposable diapers is a good option. My sister also use disposable diapers on her little boy when she can't use cloth diaper. Branded cloth diapers are pricey right? So when I told her I saw Huggies diaper is on sale at Lazada.ph, she was delighted. She asked me to order for her once her husband get his salary. Also, the other day, my kumare asked me to order for her and her order was delivered tonight. So fast right? That's what I really like about Lazada. We always have a smooth and fast transaction. Very convenient and truly an effortless shopping. Hurry because Huggies diapers are selling like pancakes! The last time I checked, small sizes are already out of stock. The Power of Two is the song I always sing to Matthew when he was a baby until now. The lyrics "So we're okay, we're fine" gives so much assurance. I love to sing it to my son to give him assurance that everything will be fine because Mommy is here. We also sing this to Nanay to let her know that we will always be here for her. Her sickness maybe taking her memories away but never will her love and the love we are giving her. Almost seven years ago, we moved in to our newly built house. That's after we got married on the same year. I can't believe seven years have already passed and that two years from now, our house will be fully paid. Yey! Finally, we can save more for some other things like our son's education and a house renovation. Although our house isn't that old looking yet, there are some parts that I want to undergo renovation. The plan is 1-2 years after our house is fully paid, we will have a house renovation. That will give us more time to plan and save. We want an all-in-one renovation so all the parts of the house that we want to remodel will be covered. It’s difficult to stop in the middle of the construction because you run out of fund, right? But I am so excited that I am thinking what major changes we will make. 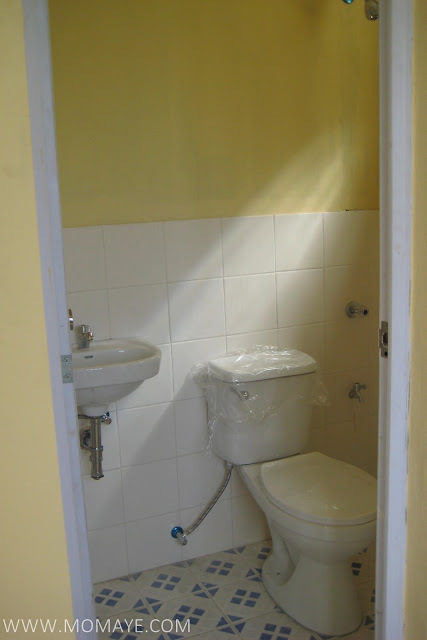 The very first part of the house that I really want to remodel is our bathroom. Let me show you our current bathroom/comfort room. I find our bathroom really small. I want a bigger one with a bathtub. 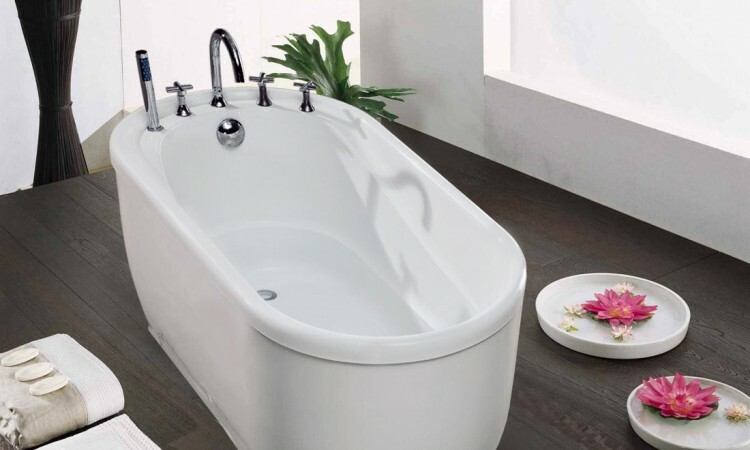 Having a bathtub inside the bathroom is one of my childhood dreams :) Three years or so will pass by quickly so as early as now, I am already looking for bathroom design ideas with contemporary tub, of course. 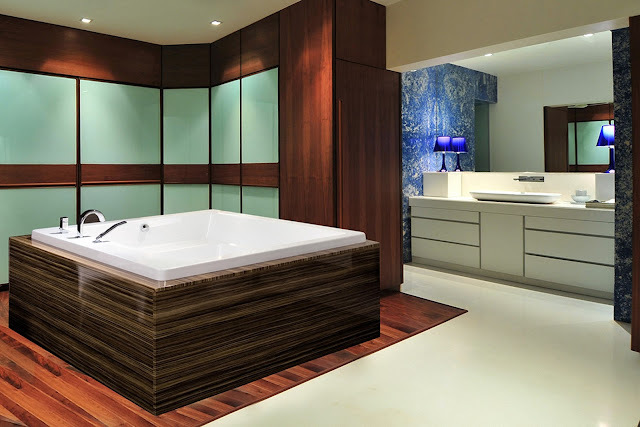 So let me share my top picks for home bathroom design ideas. I super like this design. If only I have a big bathroom that can connect to a lanai, I will choose this design. The built-in square bathtub is large and very spacious. The three of us can fit in like in a small pool. Just look how elegant it can be too with this design. Again, if the space is not limited, I like this square tub in my bathroom. Anyway, I also like this bathroom design with a triangular built-in bathtub. The bathtub is almost a heart shape. This is perfect for couples, especially during intimate nights, haha! 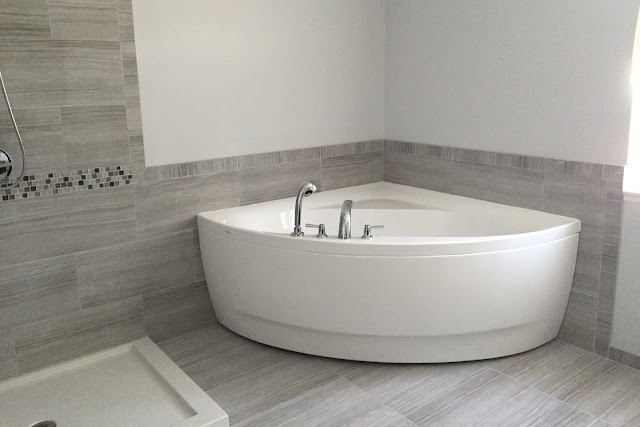 And what about a bathroom design with freestanding bathtubs Canada? 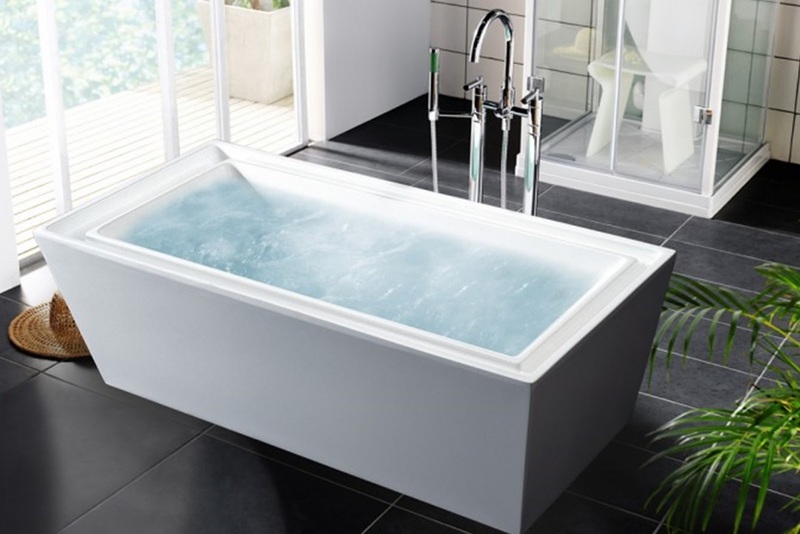 The freestanding bathtub can be put in the center just like this. Here's another bathroom design with a freestanding bathtub placed against the wall. 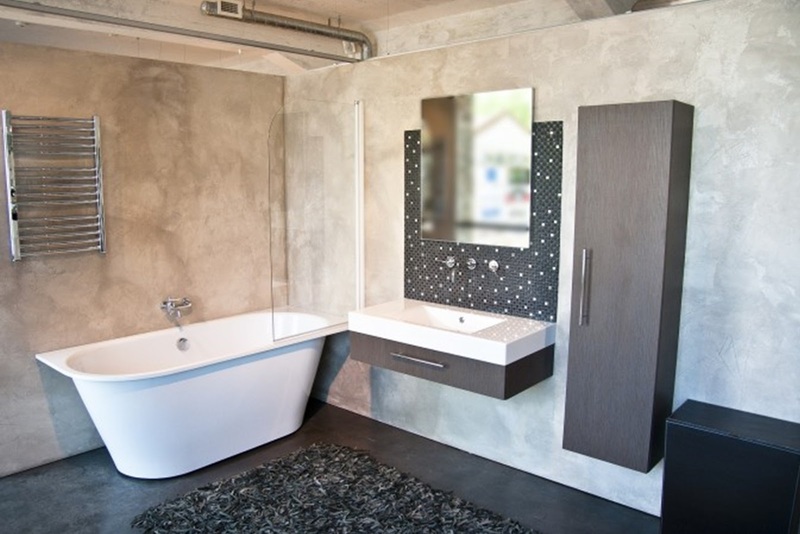 With the above design, you may choose a bright color to make the bathroom lively. Oh, look at this one, so nice right? Just change the tiles to off white or gray and it is perfect! Oh my, I can’t wait for the time we can have a bathroom renovation. But wait, I think I find a design that can fit in to our current bathroom area. Look down please! With a corner bathtub, I can save space. I also love the color scheme. This is perfect for some relaxation like this. Now, I'm starting to count the days. I am hopeful we can have our house renovation soon after the house is fully paid. I also want to renovate the kitchen since Daddy loves to cook. Also the rooms, particularly my son’s room. By then he might want to sleep in his room. That’s for now. Next time, I’ll share kitchen design ideas. Enjoy the rest of the day everyone! I am one happy mommy! Easy Soft send over two lovely shoes! These kind of shoes are just what I need for the kind of work place that we have. Very durable and comfortable on my feet. 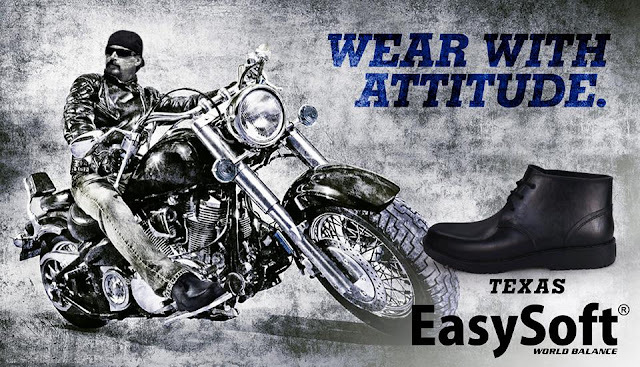 Easy Soft shoes also protect my feet from getting wet during rainy days. By the way, when Matthew saw these two pairs of shoes, he got upset. He's looking for his new pair of shoes too. He's asking me why they don't sent him a new pair of shoes. I just told him we will look for another Easy Soft shoes that can fit his feet. I'm glad he stopped bugging me. Hehe! 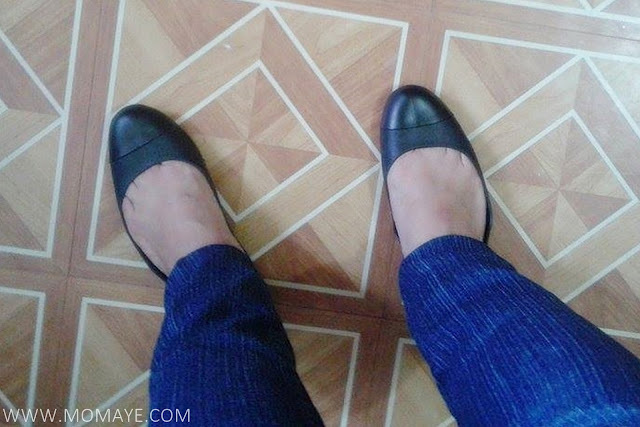 Oh well, let me show you my new Easy Soft Diva Black shoes. I was surprised that this pair of shoes is just soft on feet. I don't need to wear foot socks. This is best for long walk or shopping. No sore feet, promise! 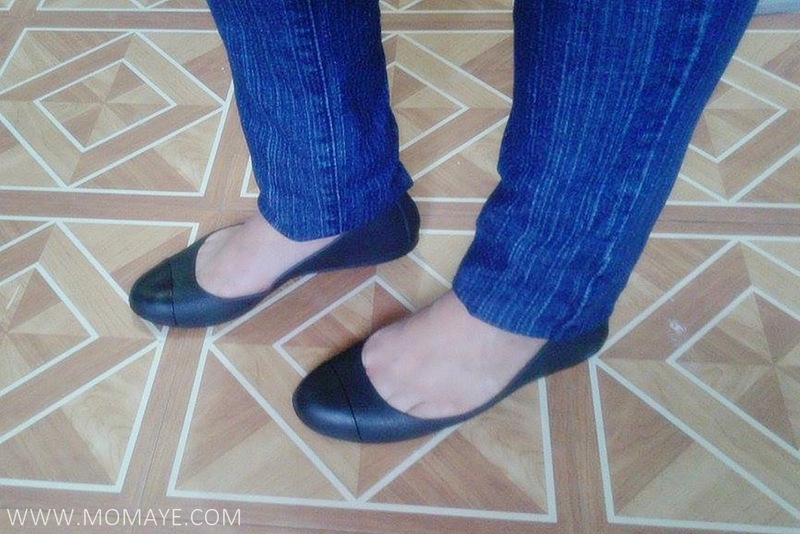 While I already blogged about my Darcy shoes, which I always wear to work. 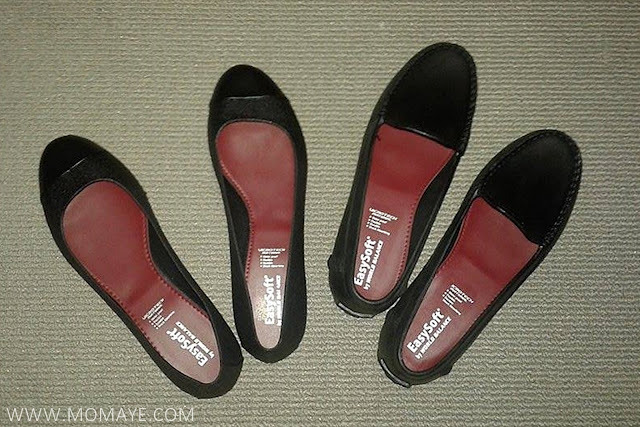 Easy Soft Darcy and Diva Black shoes is only 349.75 pesos per pair. Very affordable right? Now, here's the newest from Easy Soft by World Balance. Yes, it's the Easy Soft TEXAS mid-cut chukka boots, now available at any World Balance boutiques and outlets nationwide for 425 pesos only. Daddy will love this, I bet! For more details, please visit Easy Soft fan page on Facebook.